The intravitreal injections are used for the treatment of wet macular degeneration, of macular edema and edema post-venous thrombosis of the retina. The product is injected into the vitreous body. In France, about 600.000 patients are operated annually. Generally, the anesthesia is topical, which means that the operation is performed with the help of some eye drops with anesthetic effect. The intervention lasts about fifteen minutes. Postoperative effects are, as a general rule, simple. What are Artisan and Artiflex lenses? Artisan and Artiflex lenses are intraocular implants which allow the correction of myopia and cylindrical disorders (astigmatism). The lenses are fixed on the iris with two clamps and can be maintained for the rest of your life. Why choose Artisan and Artiflex lenses? This means that the lens can be replaced or removed anytime. In case of complications, the eye can be restored in its initial state, impossible in case of laser treatment. Indeed, during such treatment, a thin layer of the cornea is removed by the laser rays. Do you want to keep the optimal visual acuity? Artisan and Artiflex lenses guarantee an impeccable visual acuity, as the central part of the cornea is not affected. The laser treatment is done on this absolutely essential part of the cornea. This applies to the eye. You naturally want to be sure that this solution is a safe one. For more than 25 years, Artisan and Artiflex lenses are implanted all over the world. These lenses have been subject of a study for many years, and the results were proven without exception: these lenses are safe and effective even over a long term. Artisan and Artiflex lenses are equally indicated to people who need a high positive or negative correction (diopter + 12 -23.5), with or without astigmatism, contrary to laser treatments. The Artisan implant is the “fake” implant with the longest duration (almost 20 years). The risks of Artisan or Artiflex implant are rare: inflammation, infection, ocular hypertonia, disintegration of the implant, inflammatory deposits on Artiflex implant. The iris fixation implant requires regular eye examinations by counting endothelial cells from 6 to 6 months. 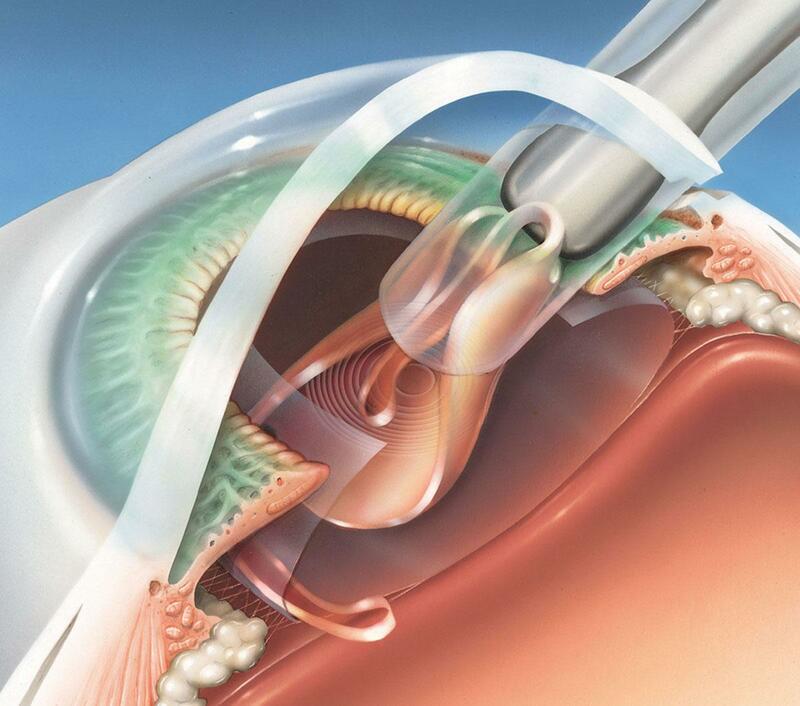 In case of cells rarefaction on the internal face of the cornea, the implant must be removed.